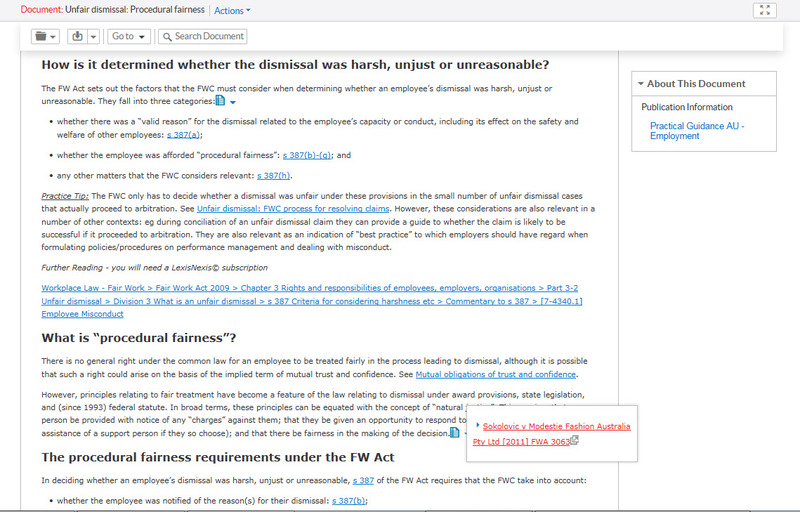 Practical Guidance provides all the content, tools and connectivity that you need to work smarter, faster and with confidence. 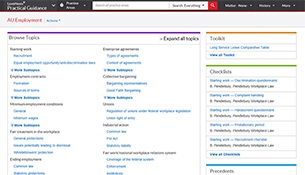 Get straight to the answer with relevant information in one place. 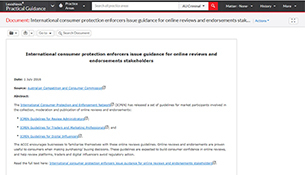 Concise guidance notes are written by expert practitioners to help you navigate a matter, surfacing the most relevant information and best practice advice. 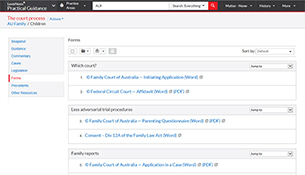 Tools and checklists step you through pertinent processes, while forms and precedents help you produce fast and accurate documents. 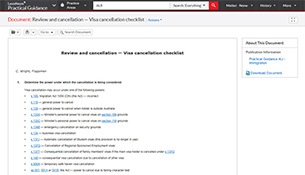 step through pertinent processes to ensure you have everything covered. 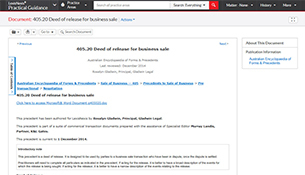 essential precedents from our LexisNexis suites are included so you can produce fast and accurate documents. 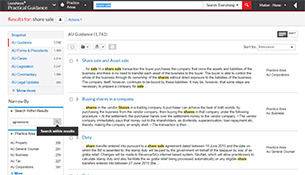 Access up-to-date versions of key forms. 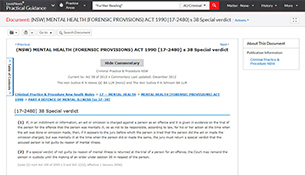 Latest legal updates alert you to changes in your areas of practice. 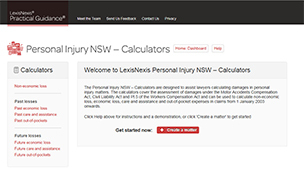 Keep informed on changes and developments affecting your practice and your clients. 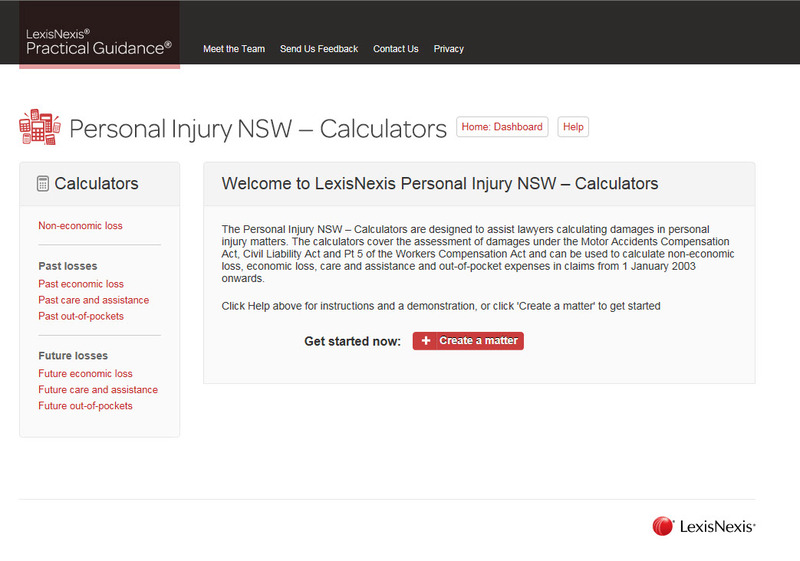 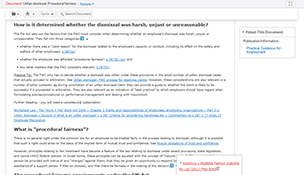 Direct links to LexisNexis commentary products and primary law. 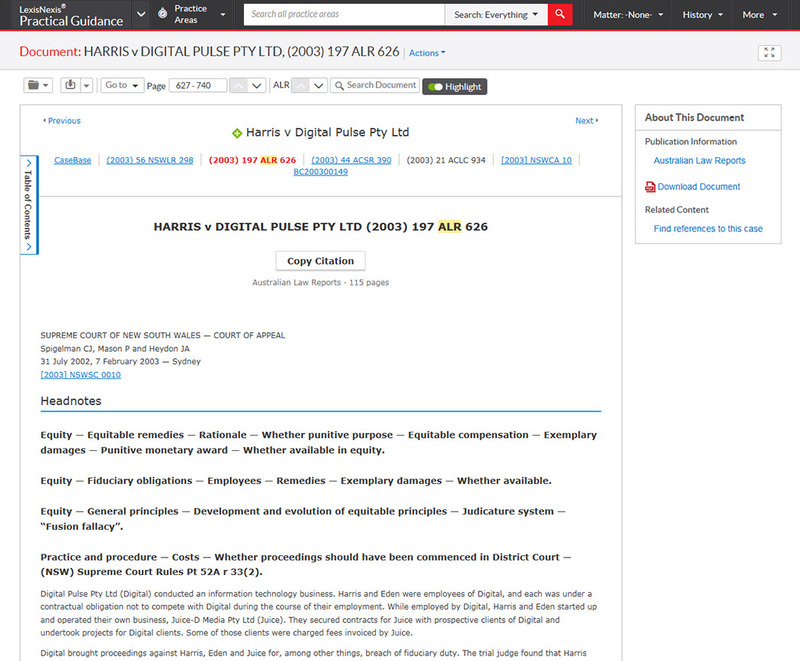 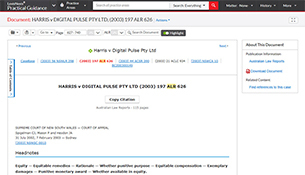 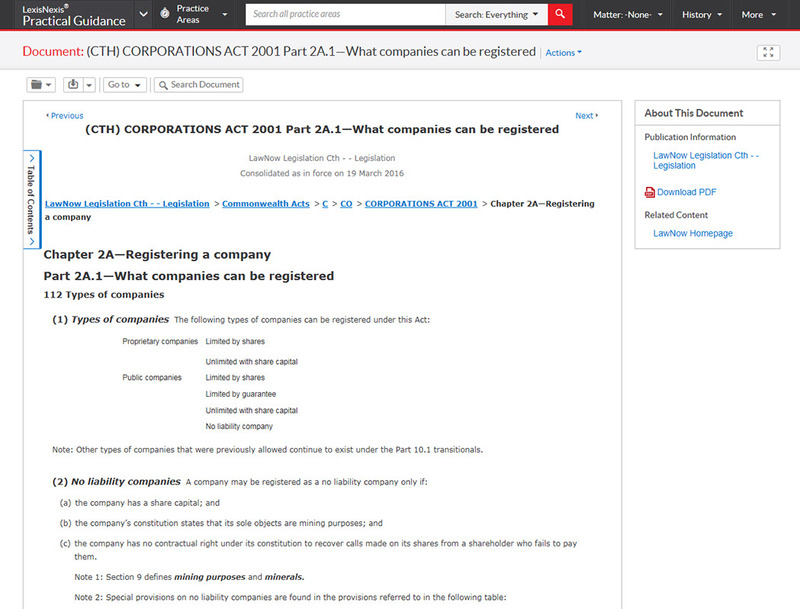 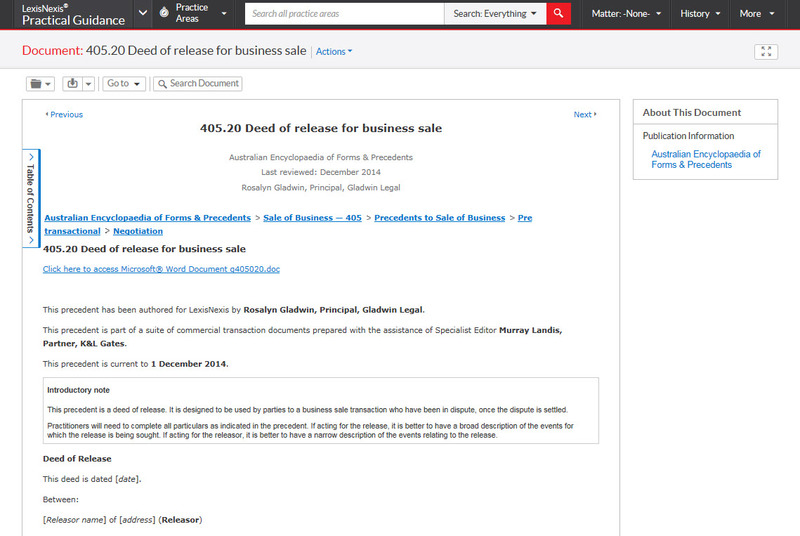 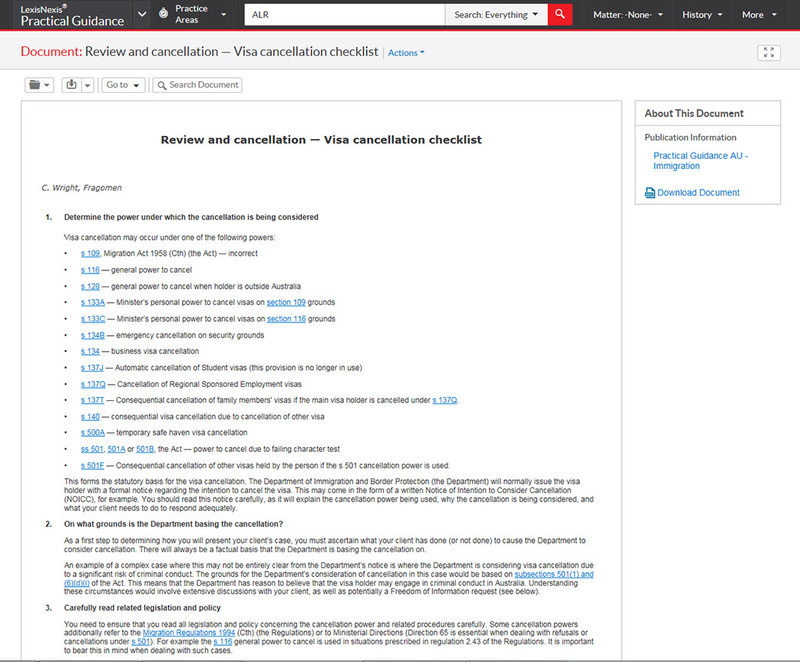 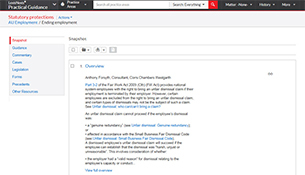 Extracts and links to LexisNexis commentary products let you move seamlessly into deeper research and analysis. 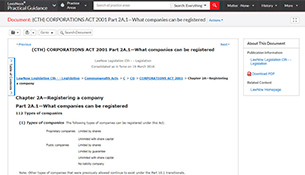 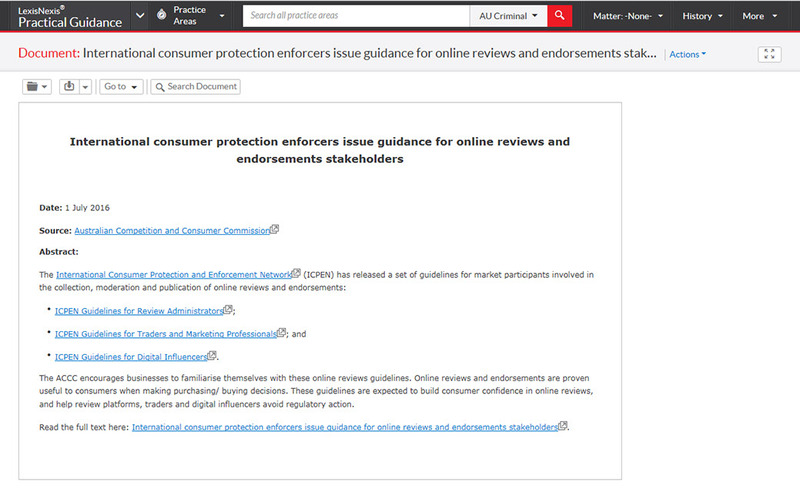 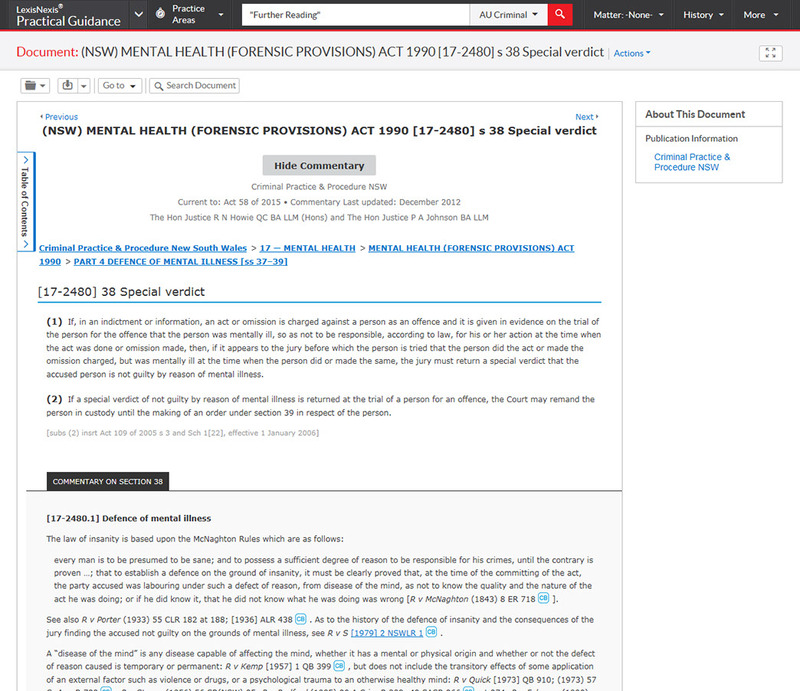 Links to relevant legislation in full text are included, sourced from LexisNexis LawNow. 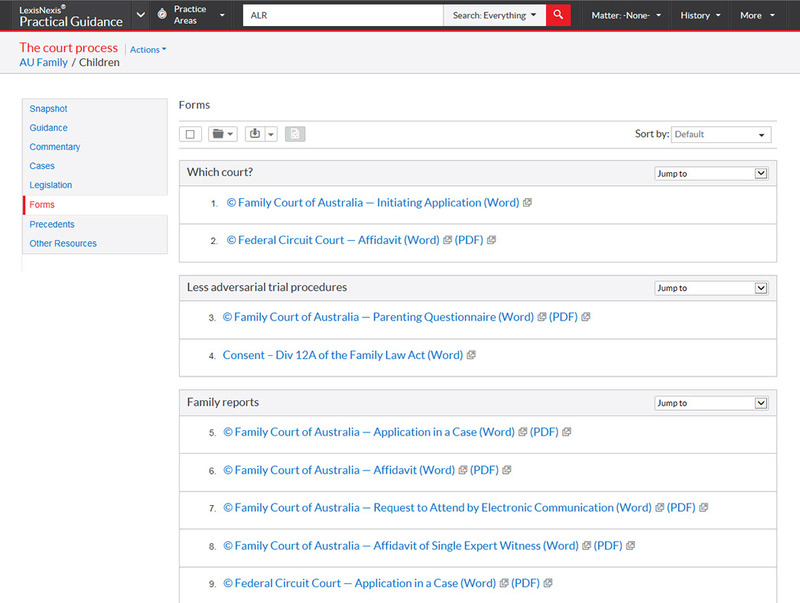 Links to pertinent cases in full text are included, sourced from LexisNexis reports series and Unreported Judgments.